My husband and I had a wild Friday night. It started with take out and one thing lead to another. What could be better than this!! 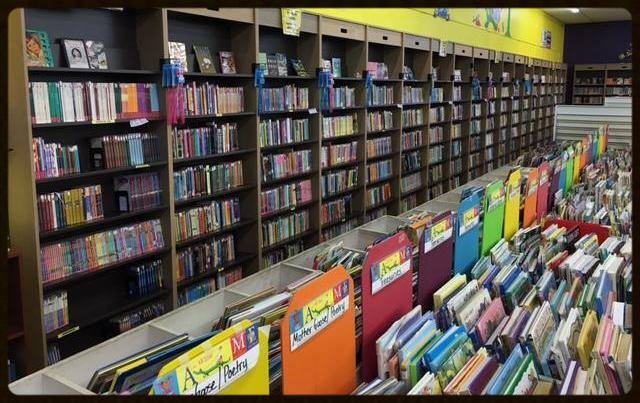 It's a used book superstore. I was on the hunt for Mo Willems' books. That's because I bought them all. Yup. All of them. When I when to pay for them I noticed they were the full price of $7.99 for the hardcover books instead of the reduced price of the used books. The sales lady told me that they can't keep Mo Willems' books on the shelf. They sell them new because they are in such demand. I should say that I hemmed and hawed about the price but I didn't. 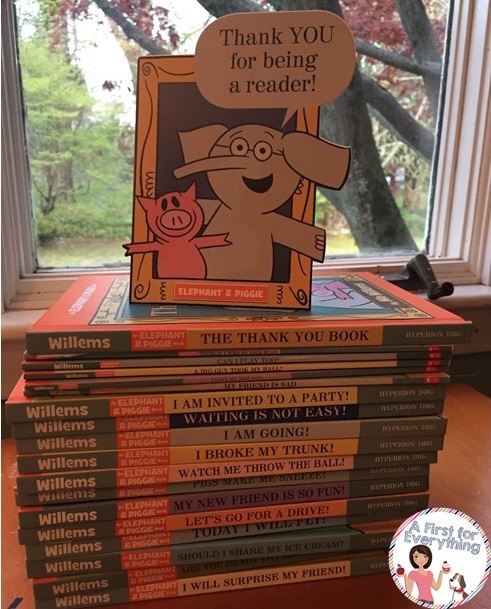 The truth is absolutely no other series of books has inspired my first graders to want to read like Mo Willems' Elephant and Piggie Books. None. They LOVE them! My highest readers love them. My lowest readers love them. My average readers love them. I love them. We love, love, love them! 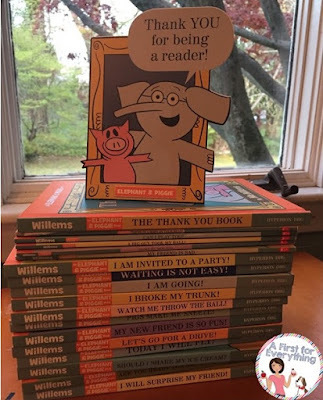 That is why, this display of Mo Willems' books has been on display all week in my family room until I bring them into school on Monday. They make my teacher heart so happy. That cute little card on top? That came in the last book in the series. That's right....last. Mo wrote his last book, The Thank You Book and it was just published. Folks, if you buy no other book in your teaching career....BUY. THIS. BOOK. I laughed. I cried. I felt all the feels. It was just.....sigh. I'm going to frame the card and put in on a shelf in our reading center to remind us all that we....are readers. 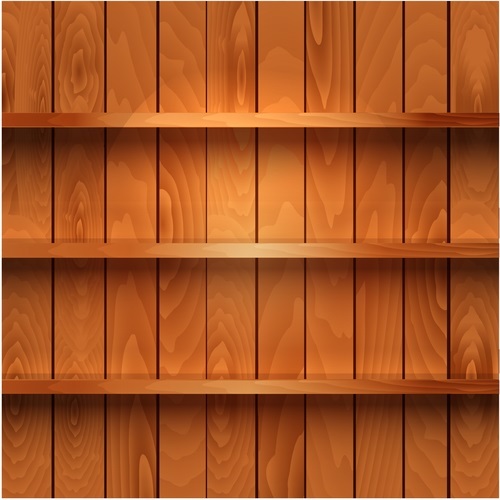 I'm promising myself I will not hoard these books. I will not put them on my "teacher shelf." They are for the kids. I will add them to our classroom library. Books are made to be read and enjoyed in the hands of readers. What better way to inspire my present and future readers? I encourage and challenge you to take those books off your teacher shelves and add them to your classroom library. 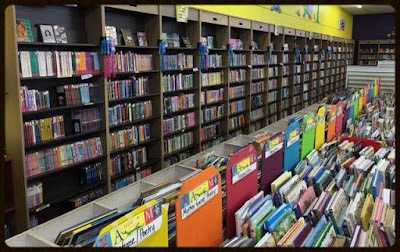 Teach your students how to respect and love books as much as you do and they will. Then thank them for being readers. Someday they may come back and thank you.